Future Lane Cleaner is a powerful breakthrough cleaner, not like anything you’ve ever used before. Utilizing newly developed concentrate technology, Future allows you to tailor your cleaner to fit your needs. Start with 8 ounces of Future Lane Cleaner and add 128 ounces (1 gallon) of water for total cleaning. Make adjustments by increasing or diluting by one ounce at a time. Try Future Lane Cleaner from neotac and you won’t go back to anything else. 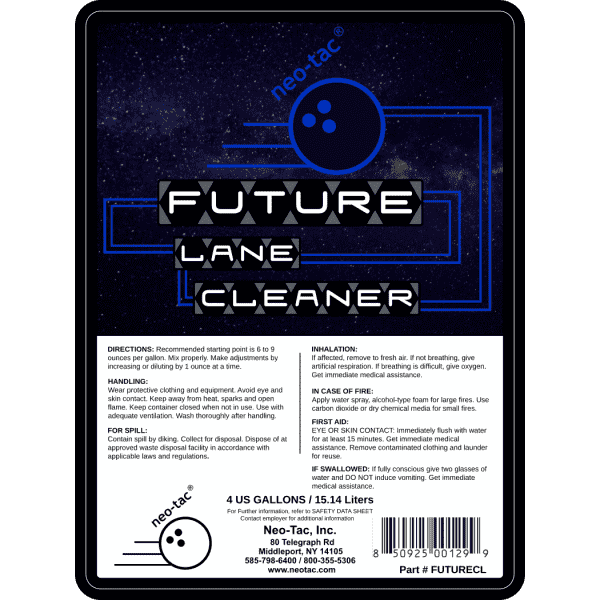 Conveniently packaged in a unique 4-Gallon bag-in box container, Future Lane Cleaner is easy to use and easy to store.